We just witnessed my very favorite holiday in the church calendar. No, it’s not Christmas… and no, it’s not Easter. It’s definitely not financial commitment Sunday. 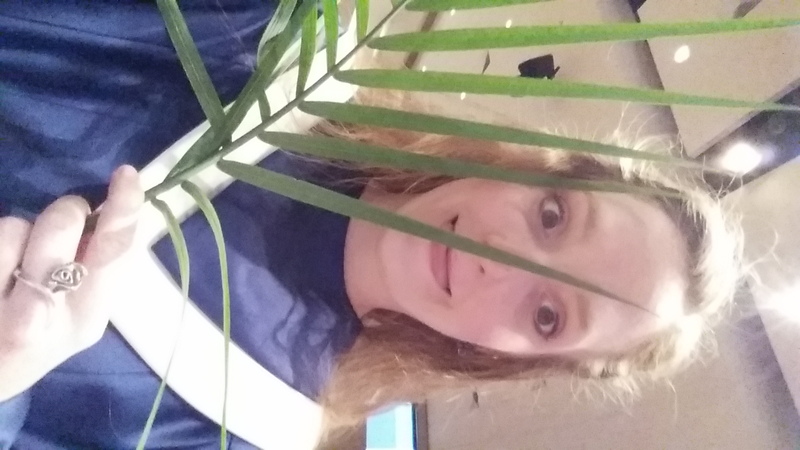 My favorite church holiday is Palm Sunday. Here’s why. Growing up in the church, I grew to love the stories we told throughout the year. I loved the traditions. I loved feeling like I was part of living history. This story is one of my favorites! 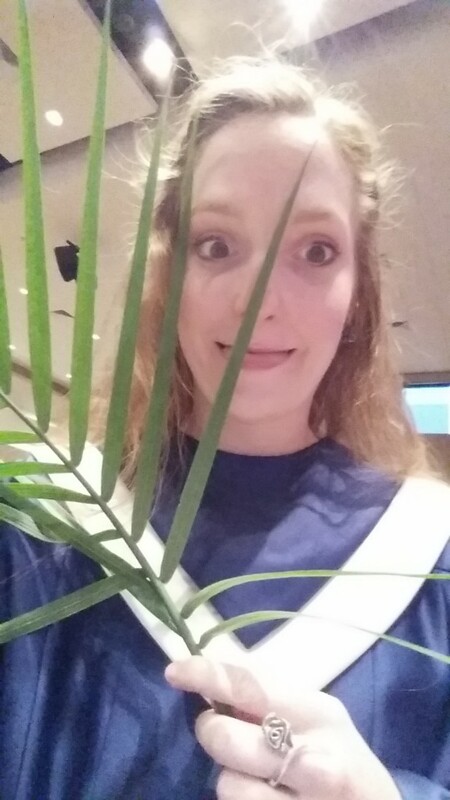 In case you’re unfamiliar with the story of Palm Sunday, here’s a quick recap for you. After teaching in the countryside for some time, Jesus of Nazareth decided it was time to enter Jerusalem, the biggest and most important city around. Being very familiar with prophecies that were told centuries before his birth, Jesus chose to ride into Jerusalem on a young donkey. He knew the people would be expecting their king to arrive majestically with throngs of soldiers, servants, and noise. He wanted to shake them up a bit. Instead of giving the people a king of war (which they wanted), he came and gave them a king of peace. The people heard that Jesus was coming, and everyone went crazy. As Jesus rode into the city, crowds of people thronged the streets. They threw down their cloaks for the colt to walk over. They waved palm branches from nearby trees. They sang, they shouted, they danced. The city officials (of course) didn’t like all the hubbub. They told Jesus to quiet those darn people down. This story by itself is not really anything special. Jesus entered the city, everyone had a party, the end. Right? What’s so important about that? The thing about this story is that it’s a moment of sheer bliss before the week ends in sorrow and death (and resurrection). This is the beauty in the eye of the storm. This moment is a glimpse of the kingdom of heaven on earth. Hearing the story of how Jesus was abused throughout his mission really hurts my heart. I constantly struggle to believe that people can be so cruel and evil. I don’t want to believe that there is so much darkness within them, because that means that there is still darkness somewhere within us. It’s staggering to think that what happened to Jesus then might very well happen again today were he to come into Dallas. 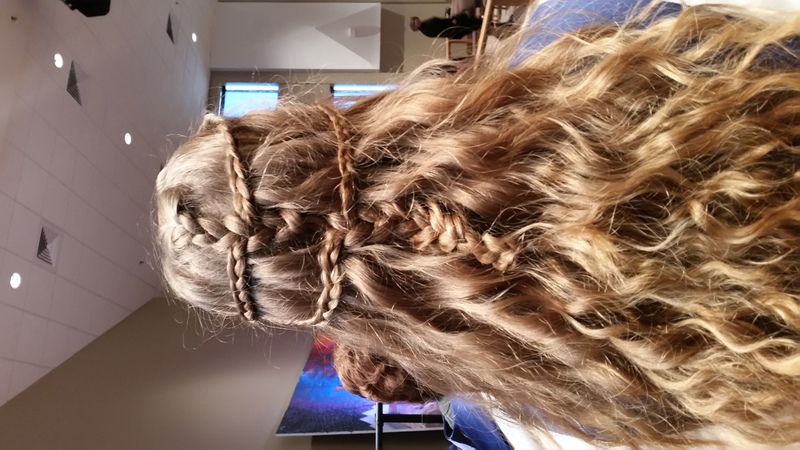 But Palm Sunday…. this is a day where everything is exactly as it should be! The people are rejoicing! They realize that Jesus is coming in the name of God. They know they are in the presence of the divine. They are throwing a celebration fit for the king that rides before them. The joy in this story is tangible. In my opinion, this is how Jesus should have been treated the whole time. 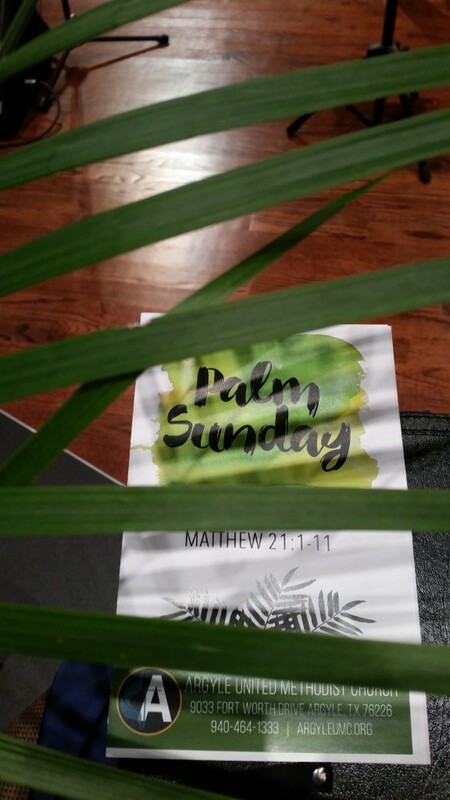 I love the deep, rich symbolism that is alive in the story of Palm Sunday. The spring green of the palm branches makes me smile deep within my soul. This story is alive with all of the life on earth– as is common in Biblical stories, both flora and fauna play a critical role in the meaning of this story. I love the connectivity that I feel there. The actions of Jesus (very deliberately) fulfill an ancient prophecy that surely echoed deep in the hearts of the people. He symbolized their hope incarnate, riding triumphantly into their home town. The people showed their generosity and sheer abandon when they gave up the very clothes off their backs before the young donkey. The procession reminds me of King David dancing through the city with reckless abandon, not caring what anybody else thought of him. He was simply celebrating before his maker in the best way he knew how. This day symbolizes for us exactly what an answered prayer looks like. Everything comes full circle when Jesus rides into Jerusalem. 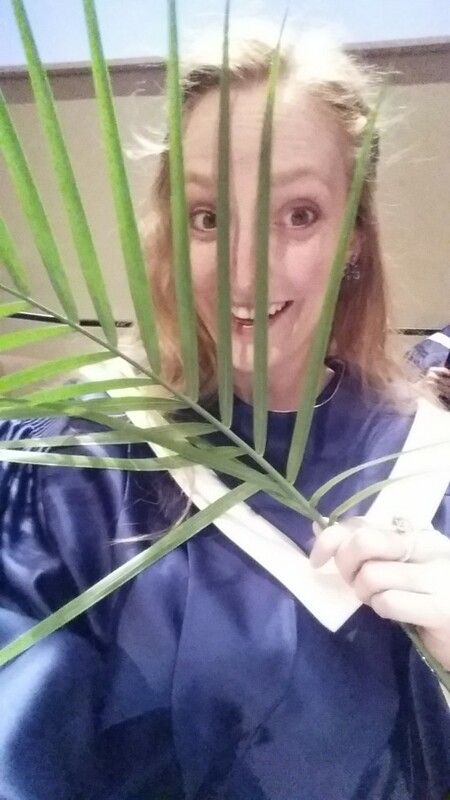 The tangible joy of Palm Sunday resonates at so many levels! Celebrating this holiday, we are embarking in one of the most extroverted days in the church calendar. We process through the sanctuary, waving palm branches and singing songs at the top of our lungs. 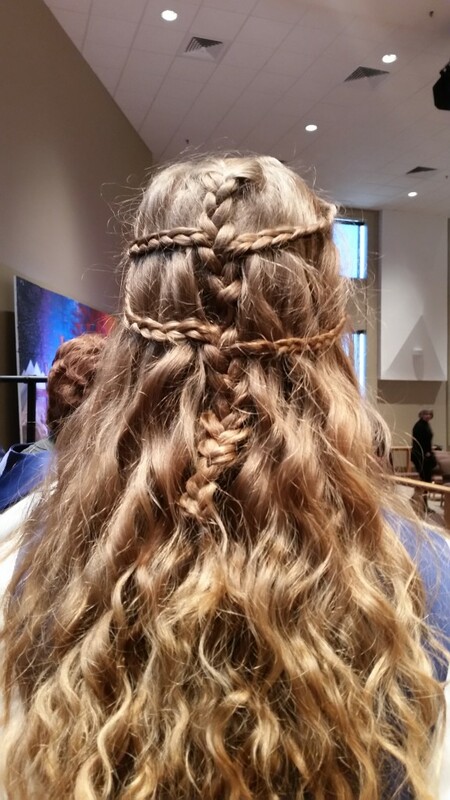 We invite children to lead us into worship, and we smile as they wander in, leaves waving gaily. We sing loud Hosannas. That word is a beautiful word to sing, in case you’ve never tried it! This is not the simple quiet of Christmas Eve or the hushed awe of Easter morning. This is a day for shouting, singing, and dancing! This is the most extroverted holiday we Christians have, and I am dedicated to celebrating those moments when they come. On Palm Sunday every early spring, the sun shines and I am grounded once more in the story I have lived every year of my life ever since I can remember. 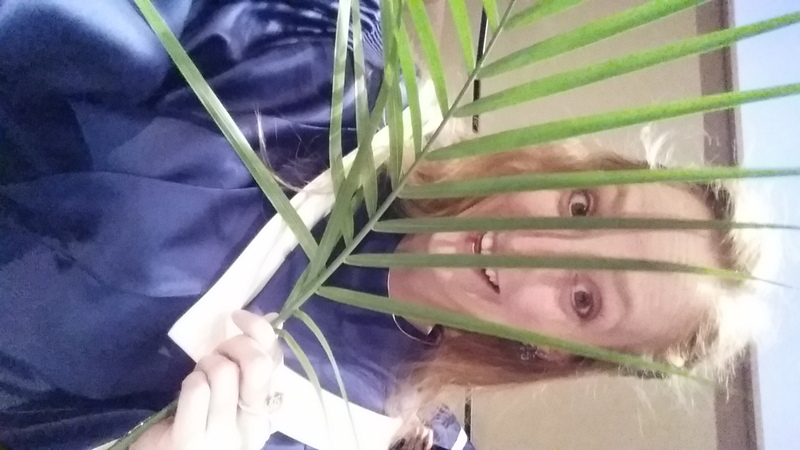 I wish I could live in Palm Sunday joy every day of the year. I wish that Palm Sunday did not drag along Good Friday right behind… and that the story ended there, with joy and hope fulfilled. Oh well. The story, as with our own, lives on. That doesn’t keep me from singing and waving my happy palm branches with all my energy when the chance arises! On Palm Sunday, I can imagine how it feels to have hope and to have that hope manifest into reality. I put myself in that place of deep joy and celebration, and I rest from the heartache that the world gives. 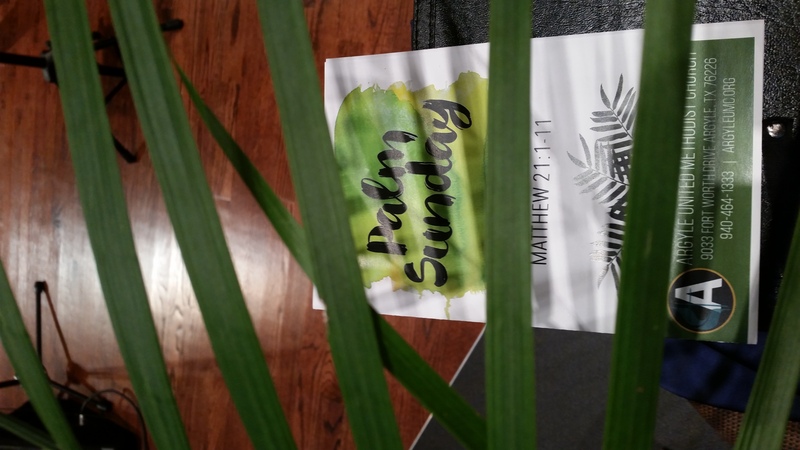 When the palms appear on the altar table every year, I am reminded of what it feels like to be truly, deeply happy. I am so very thankful for traditions that ground me in the goodness of life.